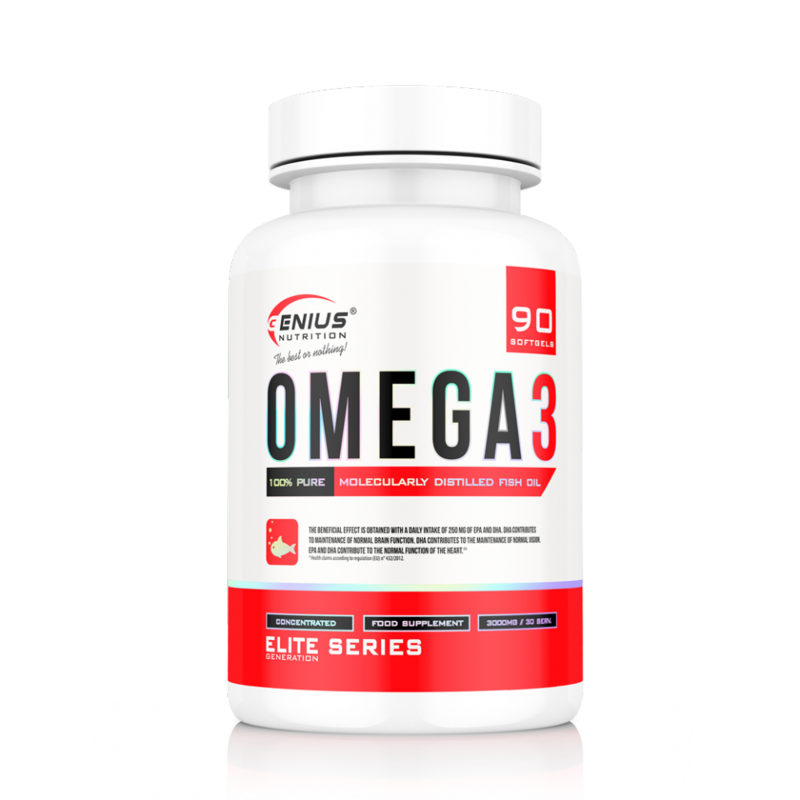 OMEGA-3 -the two of the most popular Omega-3, EPA and DHA prevalent in fish oil, are essential for normal growth and development, support brain function, maintain the heart, support bones, joints and the body’s natural immune defences. 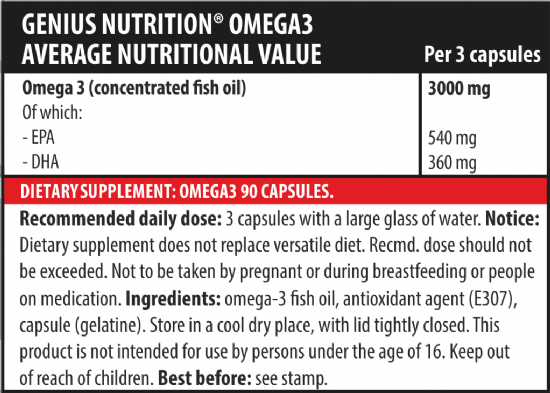 Genius Nutrition created absolutely superior fish oil form which is OMEGA-3. This product have higher & faster absorption than common Omega-3 form on the market. Recommendations for use: 1 capsule daily with a large glass of water.